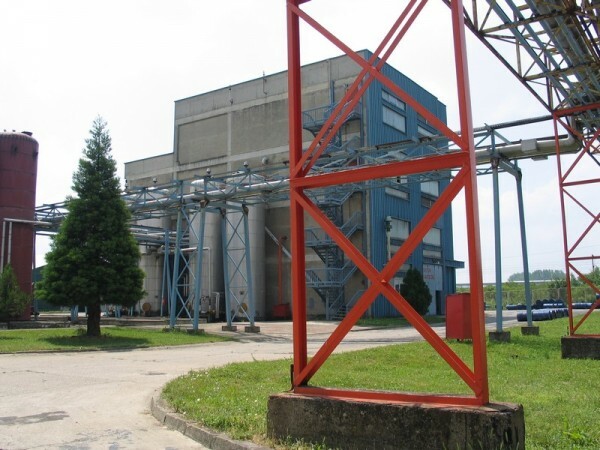 The plant for the production of synthetic resins was built in 1987 with the capacity of 4,000 tons per year. The Synthesis plant comprises of the reactor unit with surrounding equipment and is arranged in the productionbuilding to the requirements of the vertical technology, per the peak elevations. At the peak elevation 13 there is the cooler, dosing hopper for dosing of solid raw materials and a vessel for Xylene. At the peak elevation 8 thereis the reactor of 16.3m 3 capacity with a connection for dosing of liquid raw materials and a connection for making the reactor inert. 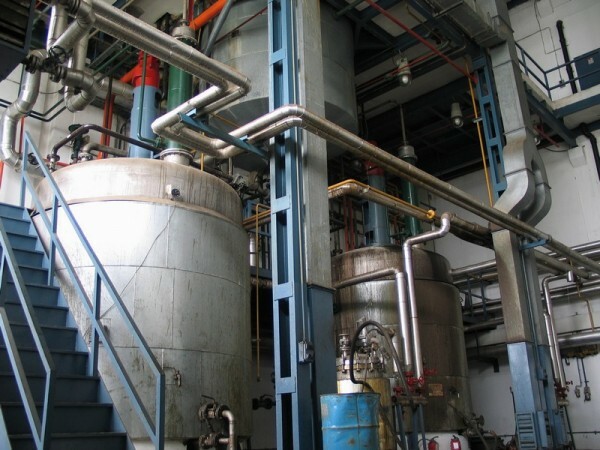 To the reactorfitted is a column for a reflux agent, which is connected to the cooler. Fromthe opposite side the reactor is connected by means of a pipe with the decanter, a vessel for an initiator and a vessel for monomers. Next to the reactor there is a free space for a possible installation of another reactor. At this peak elevation there is a system of valves for vacuum making, as well as the valve for emergency cooling. The secondary pump for thermal oil, a filter and the heat exchanger for the thermal oil are located at the peak elevation 3. 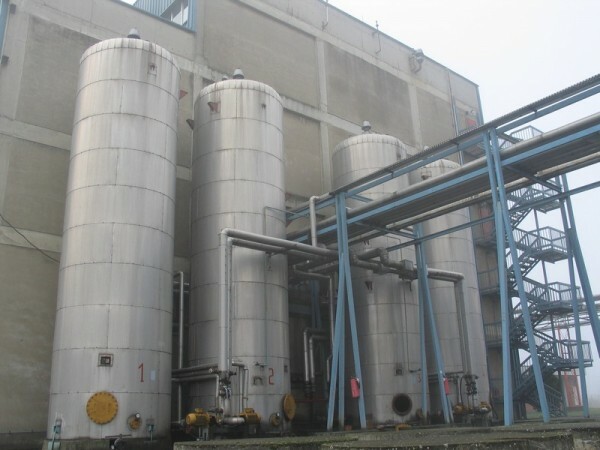 Vessels for dilution are of 24.7 m3 capacity, vessels for wastewater, vacuum vessels and the vacuum pump are located at the peak elevation 0.Besides those vessels, at this peak elevation there are filters for resinfiltering. Transportation, weighing out and dosing of liquid raw materials isperformed by a system of pipeline and pumps. 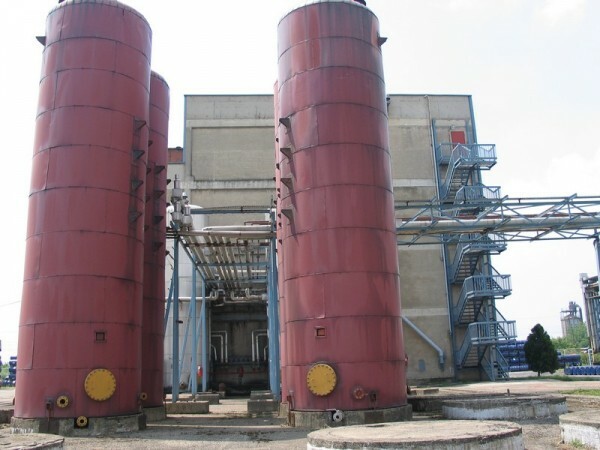 The heating of the reactor is provided by the facility for the liquid transmitter of heat (thermal oil), which is placed in the station for the hightemperature heat transmission. The cooling of the reactor is performed by means of cooling water, which comes to the building by the feeding pipeline from the station for cooled water. 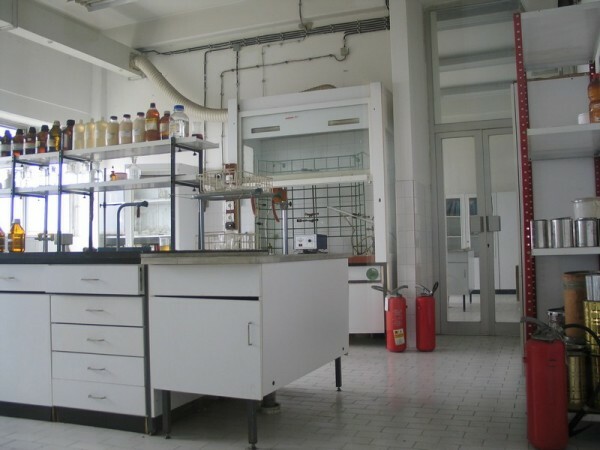 In the facility, during the synthesis process the EN2 is used as the inert gas, which is placed in clusters of cylinders in a separate room where there is also the reducer board from which the main supply of nitrogen goes to the plant. 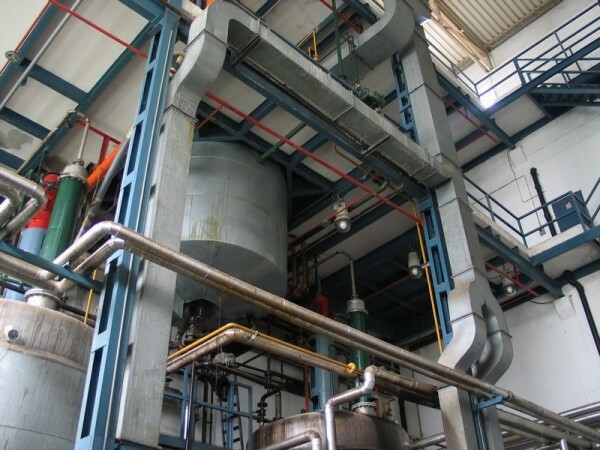 In the Synthesis plant produced are 6 types of alkyd resins: based on soybean and sunflower oils (S-6501 and S-6028), based on fatty acids (TG- 2701 and MK-4801), based on linseed oil (L-5401) and based on wooden and linseed oil (DL- 3501). 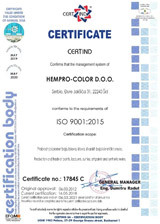 There is also a possibility of the production of polyester resins. The packing of the finished product of resin is carried out in drums, containers, or in road tankers.